With mild winters and warm to hot summers, many tropical and sub-tropical fruit bearing trees thrive in Florida's climate. Many tropical trees bear fruit year-round and have fragrant flowers. The fruit is often unfamiliar to many and not often seen at the grocery story but sweet and flavorful and well worth the time and effort it takes to grow. many exotic fruits can be grown in Florida's climate. Guava is a tropical fruit tree that has naturalized in many of the warmer climates around the world, including Florida. The guava tree is evergreen and grows to 33 feet tall. It has shallow roots and is not frost tolerant. Fragrant white flowers precede the small fruit. The rind and the seeds of the guava fruit are edible and the fruit can be white or pink, yellow or red. Cultivars recommended for home growing in Florida include Patillo, Hong Kong Pink, which both have pink flesh and Homestead Lotus Crystal Asian with white flesh. Guava requires full sun but is adaptable to soil conditions and grows in many parts of Florida where they bear fruit almost year around. Jaboticaba or Brazilian Grape, is a small growing tropical fruit tree, usually only reaching 15 to 20 feet in Florida but growing larger in its native Brazil where the soil is deep and rich. The fruit is dark purple and round, like large grapes. These fruit are unusual as they grow in the trunk and branches of the tree instead of on stems. The skin and the seed of Jaboticaba are edible. 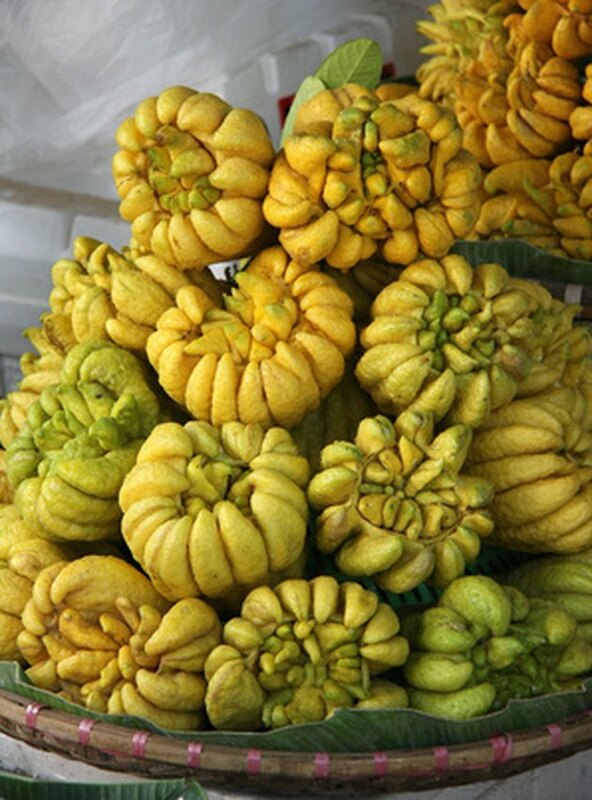 The fruit is preceded by unusual flowers that also grow on the trunk and appear like large, puffy white growths. Although young trees only bear fruit once a year, mature Jaboticaba fruits bear fruit year around. Jaboticaba prefers full sun and rich well-drained soil. Growing to 35 feet tall and 20 feet wide, the Star fruit, or Carambola, requires full sun and well-drained soil. Like many tropical fruit trees, Star fruit is evergreen and bears star-shaped fruit throughout the year. Pink or lavender flowers precede the fruit, which can be from 2 to 6 inches long. For best flavor, the fruit should be allowed to ripen on the tree. Ripe Star fruit are yellow and do not store well. The skin and seeds of the Star fruit are edible. In Florida, Star fruit grows in the south, where the summers are hot and the winters mild.